Photographs relating to the Piprahwa stupa and the discovery of relics of the Buddha in 1898. Below are a series of pictures relating to the excavation of the Piprahwa stupa in 1898. The majority of these photographs are from W.C. Peppé's own collection and are printed courtesy of the Peppé family. The Peppé family home on the Birdpur Estate. In situ at the bottom of the stupa. 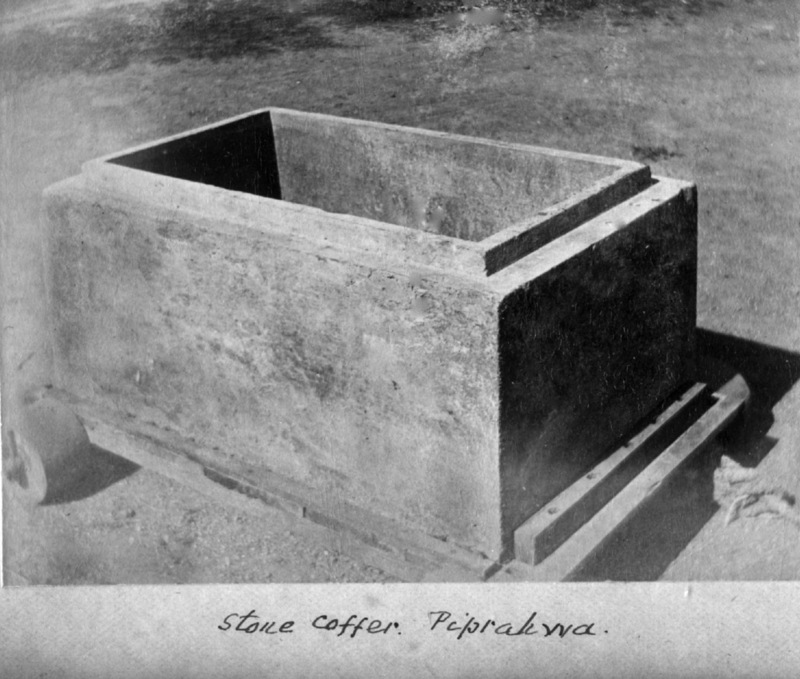 The stone coffer on the trolley which W.C Peppé constructed to remove it from the stupa. The five urns discovered inside the stone coffer. The Inscription reads; 'This shrine for relics of the Buddha, the August One, is that of the Sakya's, the brethren of the Distinguished One, in association with their sisters, and with their children and their wives'. 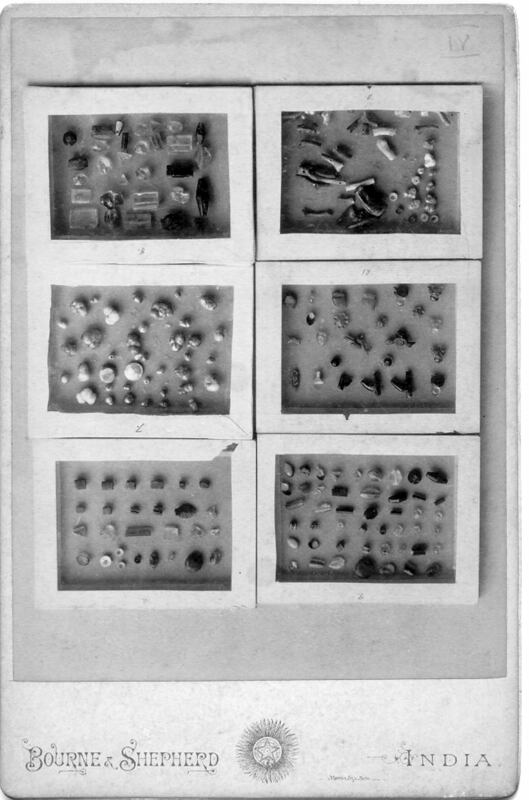 Six of the original fourteen cases containing the jewels and relics before they were shared out. View of the stupa looking from the south. The stupa viewed from a distance. In this picture you can clearly see the shaft that W.C Peppé cut into the centre of the stupa. The Prince Priest in 1896 before he ordained as a monk in Ceylon. Prince Prisdang, who became the Ven. 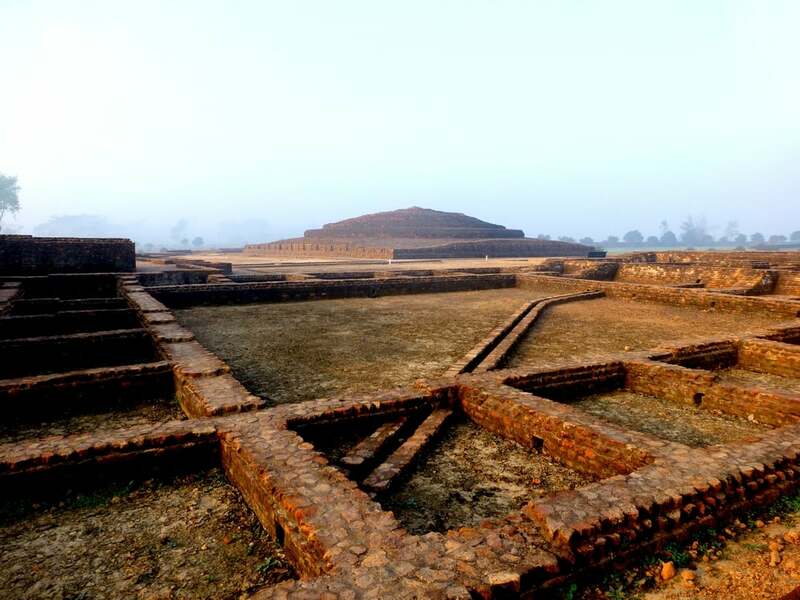 Jinavaravansa, played an important part in the aftermath of the discovery. The ven Jinavaravansa also known as 'The Prince Priest'. One of the original three cases made for W.C. Peppé by Spink & Co. in London in 1904. The third case was broken after being loaned out for an exhibition. Given as a to W.C. Peppé by the King of Siam. The Piprahwa stupa as it is today.